The Australian Dairy Conference (ADC) is heading to the nation’s capital Canberra in 2019 (19-21 February) with Kyabram dairy farmer Susan Wearden appointed the 2019 Programming Chair. Mrs Wearden, who operates the 450 cow Taripta Dairy with husband Peter in Kyabram in central north Victoria, has been appointed the task of shaping and identifying the next major issues and challenges to be contemplated by the Australian dairy industry. Leading a panel of 13 members, the 2019 ADC Programming Committee is renewed each year with a new Chair appointed to carve a new and fresh agenda for each Conference program. On the back of one of the most successful ADC Conferences at Melbourne 2018, ADC President Ben Geard said he was confident momentum would be carried forward to Canberra 2019 with ideas already emerging from the appointment of another stellar Programming Committee. “This is the first time ADC has descended on Canberra and we will use the location to prompt a range of dairy leadership discussions given the political environment and proximity of key policy makers,” he said. “The calibre of thinking and minds on the 2019 Programming Committee with a mix of farmers, industry representatives and experience ensures ADC is destined once again to challenge and be a leader in addressing future horizons for dairy,” said Mr Geard. “As a member of the 2018 Programming Committee Susan had considerable input into an outstanding program last year bringing a wealth of knowledge and experience to the table and is the perfect candidate to lead development of the program for 2019,” he said. Mrs Wearden is a regular dairy industry collaborator and networker with Taripta Dairy being involved with Dairy Australia’s Focus Farm Program in 2014 working alongside a nominated support group and consultant to improve and enhance farm business operations. “We have always tried to look holistically at our approach to dairy farming. Specifically we have sought to work smarter by harnessing available knowledge and be more efficient in the way we approach and manage aspects of the business,” Susan stated. “Part of this philosophy is continual learning. Being involved with the Australian Dairy Conference has opened up our thought processes, challenged our thinking and created new connections with other great dairy minds and thinkers,” she said. Susan began her involvement with ADC as a delegate at the 2016 Conference in Shepparton recognising the value of working together and sharing information to address wider issues for the benefit of the entire industry. 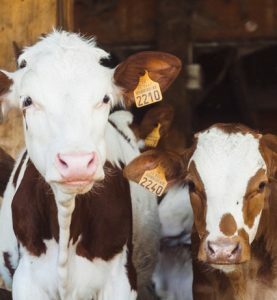 “The ability of ADC to set an agenda that is globally and nationally significant yet relative to your own dairy business is something quite unique and significant,” said Mrs Wearden. “The value for dairy farmers to be part of this environment, to be privy to futuristic thinking and to network with such a diverse group of farmers I believe is what makes ADC a special forum and I am humbled and privileged to lead the 2019 Programming team,” she said. “Our aim is for attendees to leave Canberra 2019 feeling challenged, empowered and with a sense of pride in their industry,” she elaborated. The program for Canberra 2019 is currently in development with details to be released later this year. QT Canberra is the all-inclusive venue with Conference proceedings and accommodation under the one roof.